June 11, 2018 Contact the lawyers at www.mystrykerhiphurts.com . 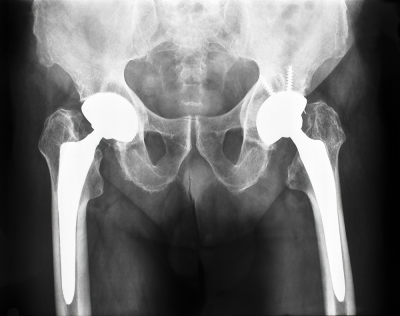 Amid a higher-than-expected number of reports involving Stryker hip replacement problems, the manufacturer has issued a warning to doctors about the risk of femoral head and hip stem dissociation linked to certain older LFIT V40 components. In a product safety notification (PDF) released late last month, Stryker indicates that an increased risk of premature failure and other problems appear to affect certain sizes of Anatomic CoCR V4o Femoral Heads manufactured before March 4, 2011. The Stryker LFit v40 is a femoral head used in several hip replacement systems, which was removed from the market in late 2016, following reports of taper lock problems with the cobalt-chromium femoral head that may result in pain, inflammation, loss of mobility, disassociation and the need for risky revision surgery. Adverse local tissue reactionThe company urges hospitals and surgeons to ensure that those working with these products be informed of this latest warning. A full list of femoral heads affected by the warning is included in the product safety notification. The warning comes as Stryker faces more than 270 Stryker LFit V40 lawsuits filed in federal courts nationwide.If Stryker hip settlements are not reached following the discovery process, the Court indicates that the first bellwether trial will commence on September 16, 2019. Similar centralized proceedings were previously established in the federal court system following a 2012 Stryker Rejuvenate and ABG II recall, which resulted in thousands of lawsuits brought by individuals nationwide. Following coordinated discovery in that litigation, the manufacturer agreed to pay more than$1 billion in hip implant settlements to resolve cases for individuals who required revision surgery after these recalled implant failed. Our firm Cooper Schall and Levy have received millions of dollars for our clients . Call us 215.561.3313 for a free consultation to see if you qualify. While the outcome of such bellwether trials are not binding on other plaintiffs, they are closely watched in complex product liability litigation, where large numbers of cases raise similar allegations and injury claims. Given similar questions of fact and law raised in cases filed nationwide, all hip replacement lawsuits involving issues with the Stryker LFit v30 have been centralized before U.S. District Judge Indira Talwani in the U.S. District Court for the District of Massachusetts, as part of an MDL or multidistrict litigation. Stryker recommends that patients implanted with these products be followed up as normal through their surgeons, but is not recommending any changes to how frequently those follow-ups occur.